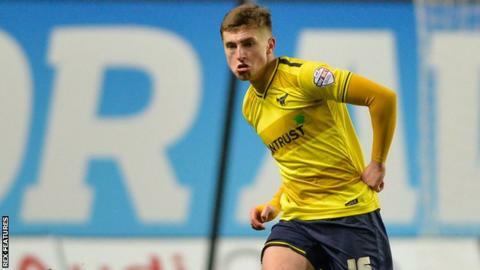 League Two side Oxford have extended the loan of teenage Everton defender Jonjoe Kenny until the end of March. The 18-year-old has made eight appearances since joining the U's on loan in January. "I have loved every moment here and I have played a lot of games. I would love to stay here until the end of the season," he told BBC Radio Oxford. Kenny played seven games for League One club Wigan Athletic during a loan spell earlier this season. Oxford are currently vying for promotion in League Two and face Barnsley in the Johnstone's Paint Trophy final on 3 April.